Patel, a member of UK parliament, had made her position known in an op-ed for London business newspaper, City A.M.
She accused President Muhammadu Buhari of cancelling a “compensation settlement” after the Nigerian government reneged on a natural gas development refinery contract with Irish firm, Process and Industrial Development (P&ID). The lawmaker also said the Nigerian government flouts international law, refuses to respect court decisions, adding that “there has been no reduction in corruption since Buhari took office”. 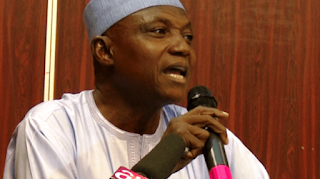 Reacting in a statement on Tuesday, Garba Shehu, presidential spokesman, described Patel’s claims as a “wicked proposition” which is “lacking in substance and devoid of merit in empirical evidence established by facts”.